You're hungry, you don't want to stay in, but you have no idea where to go. Sound familiar? No worries, let GAYOT be your guide. 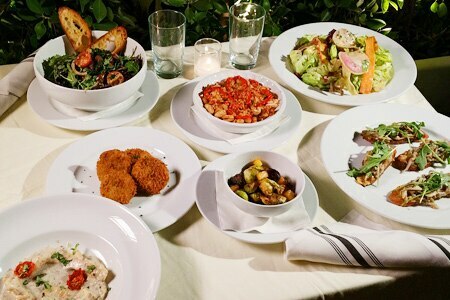 Whether you want a spicy date night on the town or a laidback lunch with the fam, we have you covered with the best restaurants in Los Angeles (and beyond). So, what are you waiting for? On your mark, get set, eat! This spacious stunner situated right next to The Broad museum is like a work of art in itself, from the open kitchen merging the indoor and outdoor spaces to the open mezzanine vegetable garden and two-story wine tower. Chef Timothy Hollingsworth (former chef de cuisine of The French Laundry) presents contemporary American wood-fired fare with sustainable ingredients grown onsite. He's built a reputation for his ultra-fancy French restaurant Mélisse in Santa Monica, but chef Josiah Citrin proves he knows how to keep it casual (but no less gourmet) at his new neighborhood outpost. 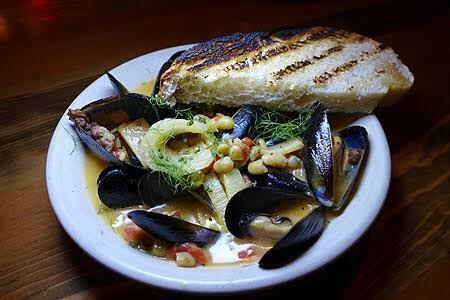 True to the restaurant's name, Charcoal Venice is all about craveable comfort foods cooked over a fire. 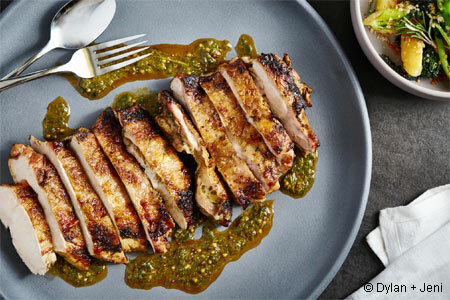 Expect family-style dishes such as smoked short rib and half chicken with salsa verde. Located inside the Avalon Hotel's charming (and poolside) midcentury-modern environs, Viviane is where you'll want to spend some time sipping a cocktail or two while enjoying chef Michael Hung's menu of continental delights, including pan-roasted halibut with braised cabbage and roasted kabocha squash with tofu ragout. 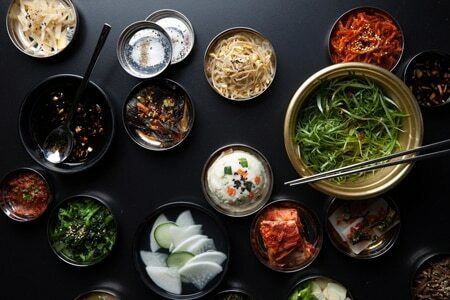 Modern Korean BBQ rules the day at this hot spot from chef Chris Oh of Seoul Sausage Co. and restaurateur Stéphane Bombet of Terrine and Faith & Flower fame. Open everyday until midnight, it's the most fun way to get your K-style 'cue on with shmancy sides like steamed eggs topped with uni or bone marrow corn cheese. 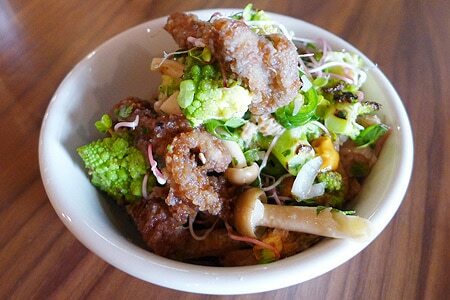 Donkey Kong, Space Invaders, craft beer and crispy tofu balls? It's all for the taking at this latest brainchild from L.A.'s (in)famous Starry Kitchen duo Thi and Nguyen Tran. You might not score on the vintage arcade games but you'll win with their famous SK garlic noodles or double-fried chicken wings paired with passionfruit wheat beer. It sounds a little strange, but like Button Mash itself, somehow it works. Former “Top Chef” contestant Nyesha Arrington is helming the kitchen at this bustling destination on Washington Boulevard (formerly known as Leona Blvd in the 1900s), a few steps away from the Venice Pier. Arrington's cooking is the perfect illustration of what today's American chefs have created: a specific cuisine with its own character, identity and playfulness. “Meatballs de Corazon” with crispy plantains and sweet potatoes? You bet. DJ/musician Moby doesn't just know music — this guy's got major skills when it comes to food. Granted, he's not in the kitchen at Little Pine, but his new resto serves up 100% organic, meat-free Mediterranean dishes that will have even carnivores asking for more. Don't leave without ordering the insanely cheesy arancini, wild mushroom bruschetta and lime cheesecake. The place is open every day from 7:30 a.m. to 11 p.m. (midnight on weekends). Venice's long-beloved neighborhood café is back and better than ever after its long-anticipated revamp. There's now a full bar and market serving prepped foods, baked goods and coffee throughout the day, and we just love the wood-burning oven and spit-fire rotisserie. 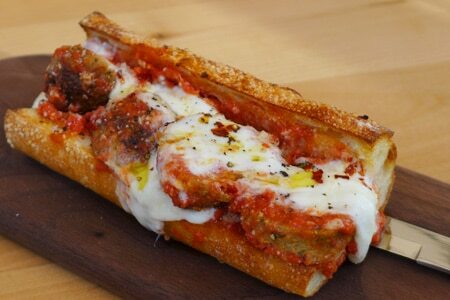 If you're feeling indulgent, do yourself a favor and get the pork meatball sub with burrata. Ridiculous. 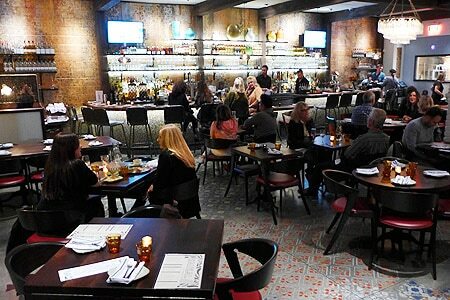 Taking over the former RivaBella space off the Sunset Strip, ROKU is right at home at this famed intersection, not only because its name refers to the Japanese word for "rock & roll," but also because it translates as the number six (it's the sixth location in the Innovative Dining Group dynasty). 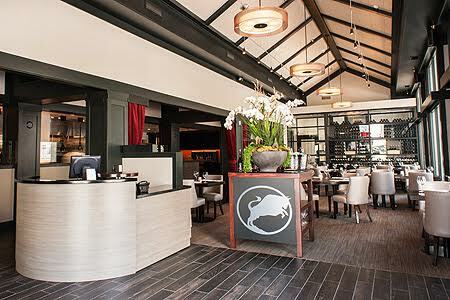 There's plenty of sushi to enjoy but the teppanyaki riffs on Wagyu and other complements take it to another level. 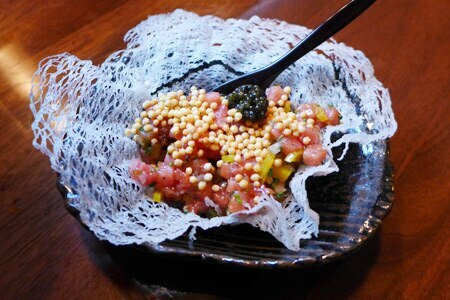 The toro tartare prepared tableside is a good way to start, while the matcha tiramisu is a can't-miss finish. Another restaurant on Sunset Boulevard? Yes, but it's home of chef Dakota Weiss, the beautiful brunette with striking green eyes you know from "Top Chef." 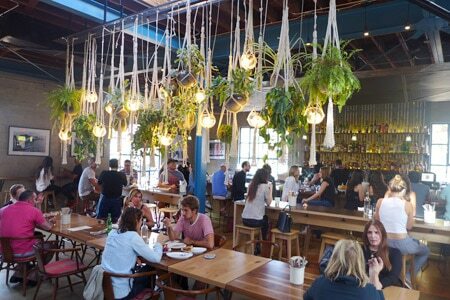 At the helm of this boho-chic indoor-outdoor space, Weiss has created globally-tinged Cali dishes for breakfast, lunch, weekend brunch and dinner. What started out as a wine and gourmet shop has become a full-fledged foodie and oenophile destination. 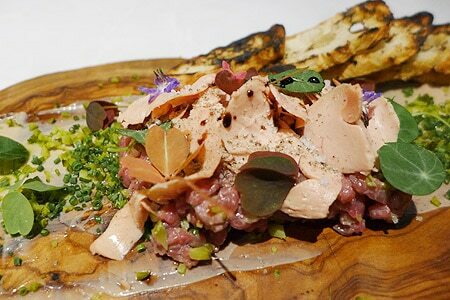 Wally's Beverly Hills encourages guests to linger (seriously, the place is open until 2 a.m.) with plenty of high-end indulgences from rare wine and gourmet cheeses to chef David Féau's creations such as Wagyu steak tartare with foie gras and toasted baguette slices. For a taste of "nuevo rancho" cuisine, head to this spacious South Bay spot that brings together influences from Spain, Mexico and 1800s-era Southern California. The wood-fired, slow-roasted delights range from grilled striped bass filet to a black mole tamale with shredded duck confit, roasted chanterelles, butternut squash and cotija cheese. 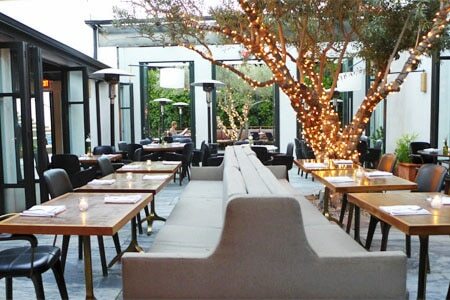 (EDITOR'S NOTE: THIS RESTAURANT IS CLOSED) It's situated in Beverly Hills' exclusive Golden Triangle, but Canon Club aims for a more comfortable, beach-house feel for the 90210 crowd. 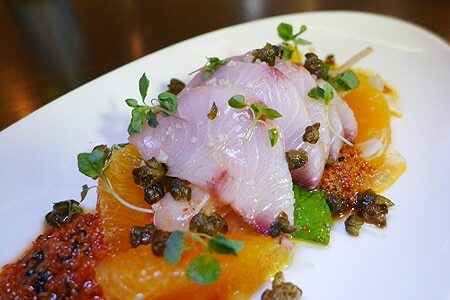 Hit up this seafood-centric spot for fresh, shareable plates, including the colorfully presented hamachi crudo, a sweet and spicy creation with fried capers, togarashi, fennel and orange salad. Bringing a taste of French cuisine and larger-than-life style to downtown L.A., Le Petit Paris is a treat for the senses (the grand staircase! the majestic pillars! the long menu!) and the house-made pastries are no exception. 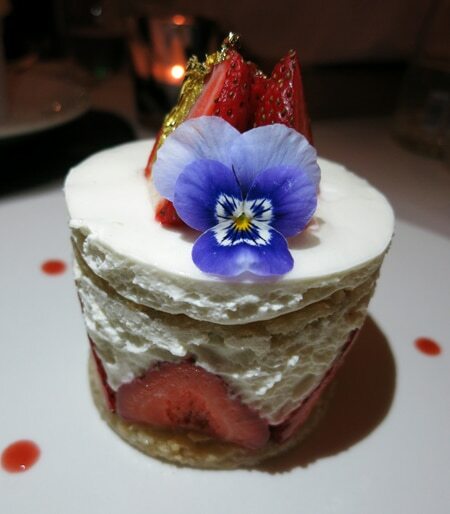 The fraisier, a traditional French delight, is a sweet mound of perfection with fresh strawberries, dacquoise (almond cake) and Tahitian vanilla cream crowned with edible flower and gold. Proving that you can find high-end sushi at the mall, Blue Ribbon Sushi Bar & Grill is a prime fit amid the stylish shops and celebrity clientele of The Grove. Naturally, sushi and sashimi abound — you can order your fish based on its place of origin "Taiheiyo" (Pacific) and "Taiseiyo" (Atlantic) — but one dish you should not miss is the fried chicken with wasabi honey batter. 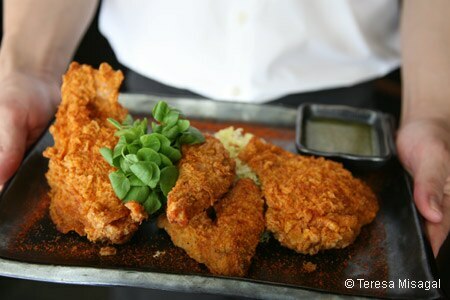 Trust us, this crispy bird is fast becoming a celebrity unto itself. This sprawling brasserie in Santa Monica turns out Southeast Asian-French cuisine from chef Bryant Ng. (You remember him from DTLA's The Spice Table.) 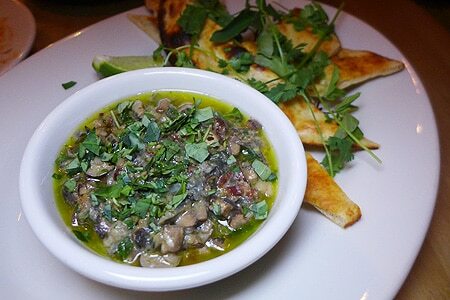 Menu options range from raw bar classics and beef rendang to chopped escargot with tandoor-blistered naan. 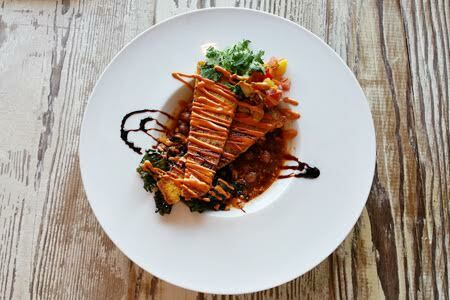 Proving that meatless meals don't have to skimp on flavor, Vegetable is a cute and casual café offering deliciously creative and organic vegetarian fare. Most items on chef Jerry Yu's menu can be veganized, including the grilled cheese sandwich with creamy tomato basil soup (you won't believe there's no cream in it) and perfect-for-fall savory corn cakes drizzled with smoky Sriracha aïoli. 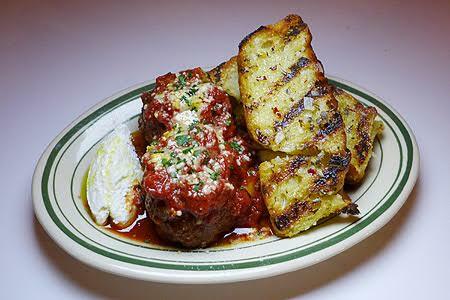 This fun and modern take on the neighborhood Italian joint is just the kind of place you'd expect from Jon Shook and Vinny Dotolo — clean space, cool scene and the most insane meatballs devoured to a blaring hip-hop soundtrack. Breakfast, lunch and dinner are here for the taking. Feeling fancy? This Bay Area import does the trick with its modern-luxe setting and ambitious menu that knows how to tickle the tongue ... so to speak. Try chef Matt Bata's corn soup with melt-in-your-mouth cured beef tongue, pine nut gremolata and crispy kale before delving into the wood-grilled steaks including Wagyu sourced from four Japanese regions. Chef Andrew Kirschner of Tar & Roses fame has expanded his culinary reach with SMYC (Santa Monica Yacht Club), a nautically-themed resto that'll make you feel like you've just stepped aboard the cozy galley of a luxe yacht. 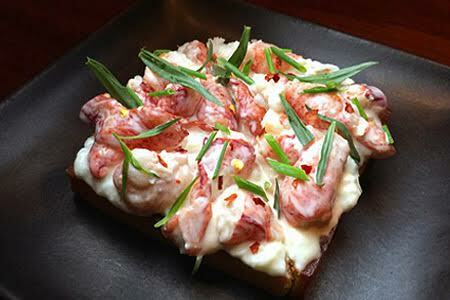 The menu changes daily (we hope the lobster and burrata toast sticks around for a while) with plenty of fresh seafood and meat options that pair well with the wine, craft beer and cocktails. Don't let the name scare you. Hatchet Hall is a welcoming newcomer to Culver City serving up rustic American fare, serious cocktails and unusual wines. 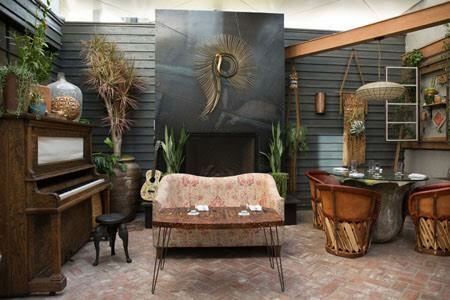 The vine-covered patio is perfect for warm fall nights (we are in L.A., after all) while the "Old Man Bar" in the back has a speakeasy feel. 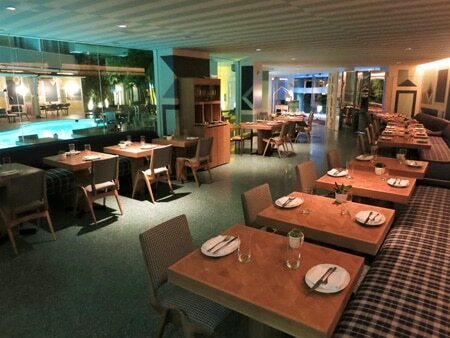 Chef Brian Dunsmoor presides over a white oak grill to fill out his menu of daily-changing fresh, local ingredients. From the folks behind the ever-popular Laurel Hardware comes this ode to laidback-luxe living. 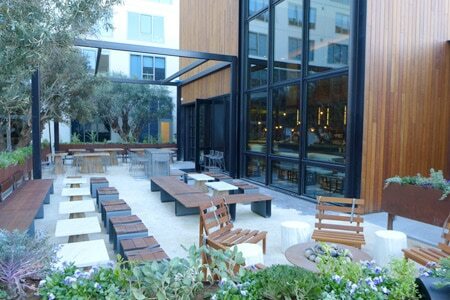 Grab a seat on the central patio with its smooth leather sofas and twinkly trees or venture into the two rooms flanking the outdoor dining area. The menu is contemporary American (octopus with turnip mash, anyone?) and the cocktails are so crafty you just might end up with sea beans in your glass. Named after the industrial-turned-epicurean neighborhood in Portland, Oregon, Pearl District is bringing a little of that Northwest foodie vibe to Westlake Village. 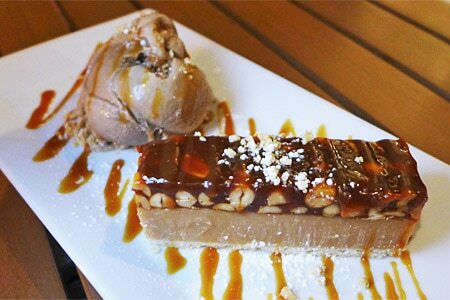 There's plenty to choose from, but don't leave without trying Richie's Wonder Bar, a decadent delight made with shortbread crust, peanut butter-white chocolate bourbon ganache, caramel-peanut topping and Dandy Don's salty caramel ice cream. Carnivores, take heart. 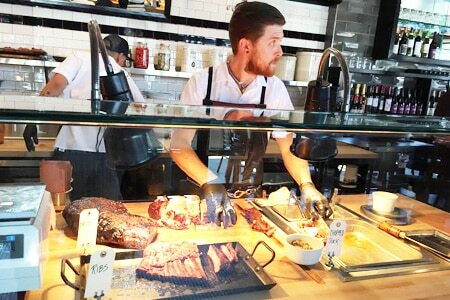 This spacious new smokehouse along Sepulveda Blvd. in Culver City is your meaty mecca for Texas-style barbecue that runs the gamut from prime rib, brisket, pork shoulder, chicken and turkey to just about any other animal you crave. Chew on that. A homier and brighter departure from the sleek, dark space formerly known as Rivera, Broken Spanish brings chef Ray Garcia's blend of traditional Latin sensibility, local ingredients and modern appeal to DTLA. Think flavorful botanas (snacks), fava bean and Swiss chard tamales, squash enchiladas with charred eggplant sauce, and more adventurous entrées such as lamb's head with pickled onion and chicharron with garlic mojo and herbs.